Former Driving Van Trailer No. 82113, which has been converted into a self-powered vehicle dubbed No. 19001, was running trials along the Bo’ness & Kinneil Railway in October. 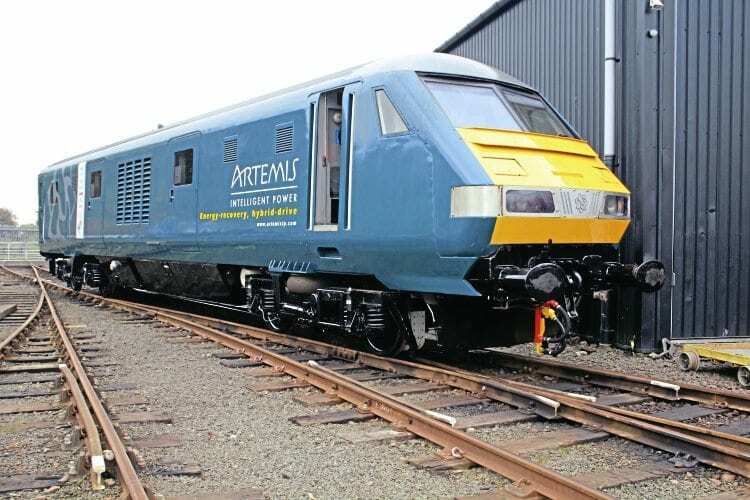 The Artemis-led project has seen the DVT fitted with a JCB engine and hydraulic accumulators, which store energy during braking for reuse during acceleration to reduce overall energy consumption. The vehicle is unlikely to actually carry No. 19001 or be allowed out on the main line. The front and rear ends are seen at Bo’ness on October 11 and November 1 respectively.